This post should be subtitled, Are You Bored Yet? So, there’s not really much new around here to report. I feel a little bad about that. I mean, for the past almost four years, I’ve been in a constant state of upheaval, immersed completely in the chaos of doctor’s appointments, ultrasounds, and fertility meds. Honestly, I don’t know what to do with myself sometimes. 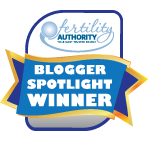 For years, this blog – my whole life, really – has been all about infertility. I suppose it’s a healthy adjustment that I’m focusing more on my general health, my relationship with the husband, and my actual life, than on the shortcomings of my reproductive system, but still… it’s a big adjustment. Because I don’t want anyone to think that I’ve fallen away from blogging about every twinge and poke in my abdominal cavity, and sharing every TMI moment in my life, I figured I should at least put together a small update on what’s been up with me lately. First of all, you read about my recent experience with Maya Abdominal Massage, right? Well, I’m going to continue with that, once per month, for at least another two months. I’ve also decided to start trying to get a relaxation massage once per month as well. All of this “extra” stuff that’s not covered by insurance can be expensive, so I’ve turned to Groupon for deals on the massage end of things. It’s not such a huge undertaking when you’re getting a reduced rate. Acupuncture is going well; Dr. McStabby surprised me at the last appointment with an e-stim acu-treatment. Basically, he places the needles as usual – some in the legs and feet, a few in the arms and hands, and a few in the belly – and then he hooked up these little tiny electrodes to a few select points, primarily in my ankles and belly. For the record, these are not my legs. Now I know it sounds scary, thinking that there are electrical impulses being sent into needles that are puncturing your skin, but I swear to you, I didn’t feel a thing. If anything, that treatment was the most relaxing one I’ve had so far, and I even was able to fall asleep a bit on the table. We talked before I left his office about herbs – I had run out of one of the daily decoctions I take – and he said that after I run out of one formula he has me on, which is apparently a sort of “reset” formula, he’s going to start me on a new blend that will really help “pump up” my egg maturation. This is pretty much what my herbs look like before I mix them into warm water – a cross between brown sugar and powdered makeup. They taste about like that, too. I’m really looking forward to seeing what this new blend will do for me! However… I do find myself getting a little antsy sometimes. Still. What can I say? I’m a creature of habit! Every time I get that way, I have to stop and tell myself that this is the first full cycle I’ve been employing acupuncture and herbs. My body is still adjusting to the diet I started 6 weeks ago, and it will take some time to see results from that. It will also take time to see changes from the acupuncture and herbs themselves, and as I always hear/read, it can really take three to six months to see these expected changes. Some days I feel like I did when I had my first Clomid cycle, so many years ago. I was certain that those five little pills would get me pregnant immediately, and I was highly disappointed when that, and the subsequent cycle, did not turn out as I had expected. Now when I have friends who start fertility meds for the first time, I see that hope in them, too. It makes me a little sad, thinking how naive I was, and what a rough road these friends may have ahead of them. I always hope for the best, say a little prayer for them, and give them my most hopeful and encouraging smile while telling them what everyone always told me: you need to be patient; the first time isn’t always the charm. Funny. After all this time, I still need to take my own advice. And so, while I am very hopeful that acupuncture and herbs may be my miracle treatment path, I am still working on the learning curve. I have to tell myself every day not to chart my temps like I want to, and sometimes I give in to the temptation to analyze my temps when I know I shouldn’t. I have to stop myself from checking OPKs every day, and I know it will be the same with HPTs later in the cycle. Obsession is not conducive to relaxation, and relaxation is conducive to conception. I keep telling myself that. Sometimes, though, I think that the stress of forcing myself to relax might just kill me. Ha. Clearly I need some help with this whole letting go thing! And so, in the meantime, I’m working at improving my natural compulsive tendencies, while also working on my stress response. I try to remember to breathe deeply, and I try to take time for myself every day. All the while, I try not to try too hard. I guess the important thing is that while I’m working at not trying so hard, I’m still my same determined self. I am having a little trouble finding that happy balance – if there is one – between determination and acceptance, but I think that eventually I’ll get there. Until then, I’ll keep blogging away, sharing any exciting news and probably mostly relatively sedate information I have along the way. 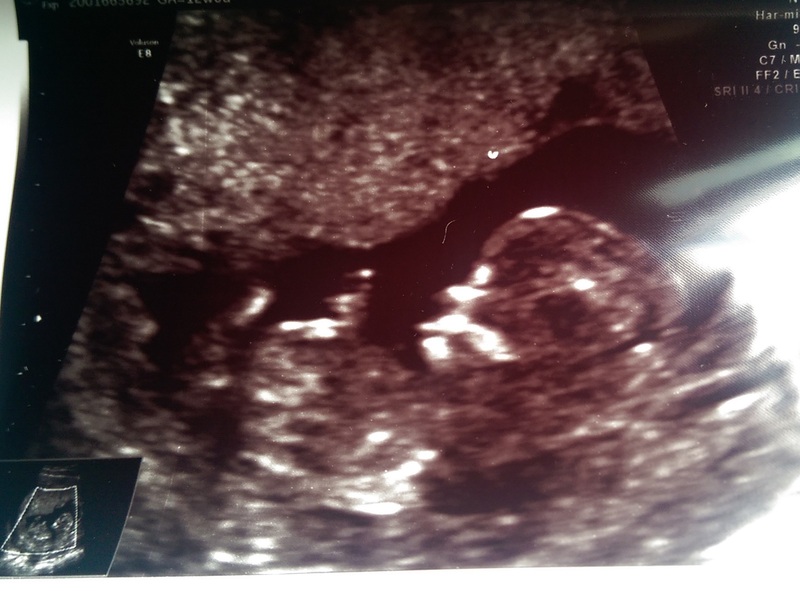 It’s not likely to be very intense around here any time soon, but I guess that’s just the trajectory I’m on. Frantic, impatient, compulsive, totally obsessive Tracy needs to take the backseat for a while. It’s time for a more peaceful approach to readying my body – and my mind – for potential parenthood. I hope you’ll keep checking in with me throughout, and I promise to post random craziness now and then, just to prove that I haven’t really changed that much.